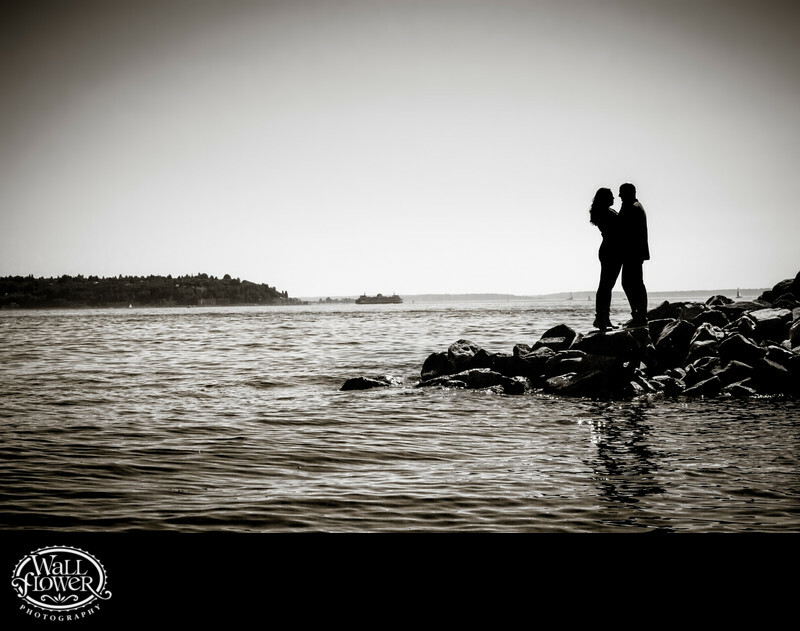 It was a tremendously bright July day when I shot this engagement portrait of a couple standing on a little rocky peninsula jutting into the waters of Puget Sound at Myrtle Edwards Park, next to the Olympic Sculpture Park in Seattle, Washington. The sky was so bright, it allowed me to underexpose the couple to throw them into silhouette. The blue waters and sky were pretty, but I found this photo has more impact in black and white. That's a ferry in the background of the center of the photo.